Did You Know You Need Our Carpet Cleaning Service? Carpets do more than beautify a room; it helps keep the dust and dirt concentred for cleaning. This dust and dirt if left over a long period without cleaning can constitute a nuisance to your household. Children are fond of playing in odd places, and there is a huge possibility that your carpet is a favourite area. The dirt and dust on these carpets could have been tracked in from anywhere, bringing along with it germs. These germs could cause some health defects ranging from minor to severe. For this reason, it is necessary to vacuum your carpet as often as you can. Vacuuming takes only a little of the burden away, and while there are other methods to deep clean your carpet, nothing does the job as good as steam cleaning. The reason why carpets need to be deep cleaned is so that the dirt particles holding the fibers beneath the surface of the carpets can be dislodged and clean. This is necessary because the more these particles stay there the higher the chances the carpet has of getting old sooner. The lifespan of your carpet should be protected for as long as possible; they don’t come cheap. Having a carpet that looks nice, gives the home a pleasing appearance and our professional carpet cleaning service at Armadale, WA 6112 has just the means to make that happen. Carpet cleaning by a professional should be done at least twice a year. This makes your carpet last longer and look better. Deep cleaning can be done personally, but professionals have the adequate training and experience to make the carpet cleaning exercise an uneventful one. Contacting Perth home cleaners at Armadale, WA 6112is going to be one of the best decisions you ever made. Carpets tend to have that dull look after a while and a massive amount of traffic, because the dirt and dust particles are being trudged upon, getting mashed together with the carpet fibers and scratching them. If this happens continuously without regular cleaning, which in other words means vacuuming; the carpets will wear and tear. Wearing and tearing of carpets, make it easier for soil particles to attach themselves. The only way to prevent this is by constant vacuuming. Vacuuming areas that receive large traffic and the entrances and exits of the carpet at least twice a week can slow down the fraying process. The rest of the carpet can be vacuumed once a week. You should always take note of soil buildup, and clean as soon as they happen. Letting the soil continue to attract other soil particles will damage the carpet. Carpet cleaning is an easy process, but you still need someone experienced and trained to deep clean your carpets, contact our professional carpet cleaning service in Armadale WA 6112to get good value for your money. 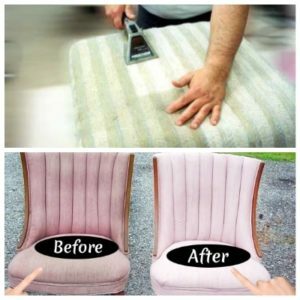 Our Upholstery Cleaning Service In Armadale, WA 6112 Will Wow You. The first thing that comes to anybody’s mind when they see dirt is cleaning. Cleaning is very important in a lot of ways, especially when it comes to upholstery. Upholstery cleaning helps promote good health and a good looking piece of furniture. Cleaning your upholstery could even help you find a long lost favourite object. Getting a professional for your upholstery cleaning exercise is very easy; just get in touch with our Armadale WA 6112 branch for an experience that will leave an imprint on your mind. Our professional upholstery cleaning service understands that getting your furniture in top shape is an important job. We use only the safest of methods and the best cleaners to get the job done. At our branch in Armadale WA 6112we believe that giving our clients the best of our services is what they deserve. We work tirelessly to ensure that no complaints are given as a result of the service we render. Upholstery cleaning, most especially deep cleaning needs to be done right and we can certainly handle that. The reason why a professional service is needed for upholstery cleaning is that different types of furniture are made up of different materials, each with their own set of cleaning instructions. Say for instance, you used water on a synthetic based furniture, that would cause a whole lot of damage, because synthetic material like vinyl use solvent based cleaners to get them sparkling. Letting us do the job, will let you have some well needed rest. Vacuum cleaning is great for eliminated dirt, dust, soil particles and lint. This needs to be done properly to ensure that the lifespan of the furniture is protected and to prevent the eventuality of an allergy breakout, in the case of homes where children are prone to allergy attacks like asthma. Vacuuming can be done once a week, but if there are children in the house and pets, then the furniture needs to be cleaned at least twice a week. This is to reduce the probability of allergies; you never know your visitor might be allergic to dogs. Getting a vacuum cleaner with a high suction power is very important for your couch to be perfectly clean. The one thing you don’t want to do is keep cleaning over and over again because you didn’t get all the dirt the first or the second time. When choosing your vacuum cleaner, do a proper research of what works best before paying for it. Let your vacuum cleaner maintain proper contact with the cushions as proper suction is necessary for the removal of dust, dirt and soil particles. If you are not satisfied with the first pass, run the vacuum cleaner on the upholstery a second time. Remember, vacuum cleaning is fine for weekly cleanings, but you need a professional cleaning service for deep cleaning. Call us today! Tile and grout cleaning is a very tricky affair, this is because sweeping still leaves crumbs, soil particles, dust and dirt on the tiles. You should under no circumstance vacuum the tiles, so what are you to do? Dry mopping helps get rid of all the dirt and dust on the floor. True to its name, dry mopping simply means that you use a mop that’s dry, tailored for this cleaning exercise to get rid of all the dirt. The mop can be cleaned by detaching and throwing in a washing machine. Cleaning tiles by wiping is also a very bad idea, because you could miss some spots and still end up with a stained tile. The best way to tackle this situation is by getting down and dirty. Scrub with some bleach and a brush plus a toothbrush for the tile and you may just get your tile and grout looking the way you want it. Tile and grout cleaning is tedious, and is not an exercise that you would want to undertake, especially if you live in a huge house with lots of bathrooms. Not to worry our tile and grout cleaning service is the best in Armadale WA 6112, and we have you covered on all your cleaning needs. We do have a lot of experience with tiles and grout cleaning and we know just how to turn your dirty grout problem around. We also take care of any mildew and mold growth infestation that occurs on the grout with speed and efficiency. Grout does have an affinity to dirt and particles which make it very dirty, and a dirty grout can make the prettiest of tiles look ugly. Let us help turn your grout from dirty to clean, call our professional tile and grout cleaning service in Armadale WA 6112. Bleach is one of the most common cleaners for tile and grout, this is because it does a great job of removing the dirt and turning the grout, however there are some things you need to know about using bleach; bleach should not be used on porcelain and you need to protect yourself when cleaning with bleach by wearing gloves. This is because of its abrasive nature. Our cleaning service uses environmentally friendly products, which won’t react badly with your skin. Make The Best Of Our Professional Cleaning Service In Armadale WA 6112, Call Us Today! If you need a service to clean your tiles and grout, upholstery and carpets, we are the ones to call. We charge affordable rates and are very interested in giving you the best possible service. Do you have any special requests? Call us today, we make sure that your needs are met. You can get a quote from our website before setting up your cleaning appointment, and if you need to ask any questions, call our customer service line; we are on 24/7 and are ready to help out in any way we can. Let us bring life to your carpet or upholstery, call us today!